It’s been a very busy few months on the farm and in the dairy. The cows finally went out to graze towards the end of April and we have all been flat out catching up on all the work delayed by the wet spring. Now it is one extreme to another and the dry weather has seen us finish the first cut of silage and make a bit of hay, which we don’t often do. 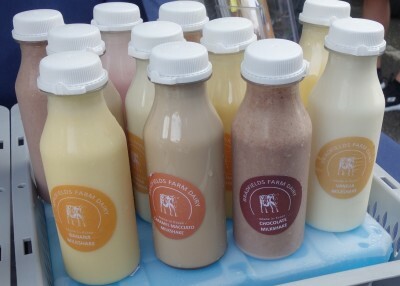 In the Dairy we have launched our glass bottles and in May we ventured out to our first weekly London Farmers market in Blackheath. It has been exciting times, we are taking over from a lovely lady called Lesley who has been running her stall for 16 years and is now retiring. 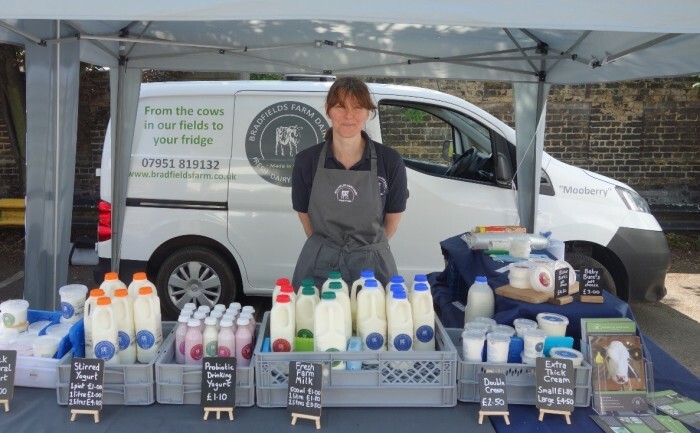 She has been very very helpful to us and shared some of her recipes for probiotic and pouring yogurts and there will be more new recipes for us to try out over the next few months. We had a visit from our cheese consultant too, and are now experimenting with a Caerphilly recipe and a Gouda and will be trying some new variations on our soft cheese too. We have a cheese vat on the way from Lesley’s farm dairy at Redlays and that will mean we can play with some other types of cheese that need a bit more heat to make. 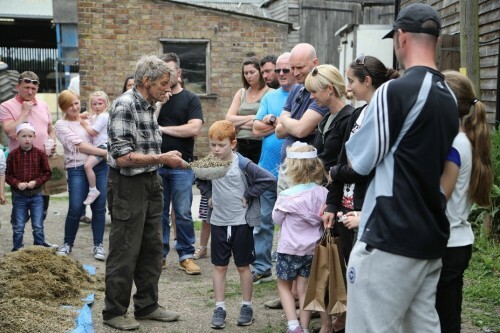 June saw us open the farm as part of the national Open Farm Sunday on 10th June. We held our very first farmers market with lots of local Essex produce including Sarah Green’s Organics and Lathcoats Farm alongside our own products and many more local stalls. Several hundred people came along and enjoyed the market and displays. 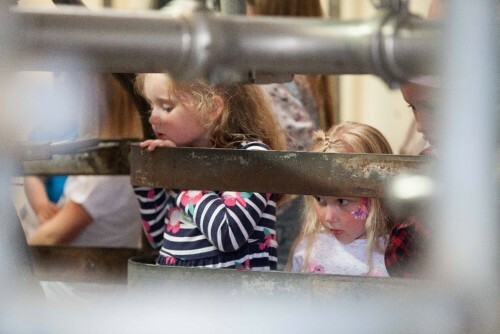 Visitors also booked free places to meet the calves and see the cows being milked in the parlour. These proved very popular are were completely booked out well before the event. The event was a great success and everyone seemed to enjoy the day. You may have tried our new thick natural yogurt and flavoured yogurts. These have been on sale in our shop for a few weeks now. There is a choice of strawberry, black cherry, red cherry, blueberry, apple and lemon curd, but we will try other flavours in future so watch this space. 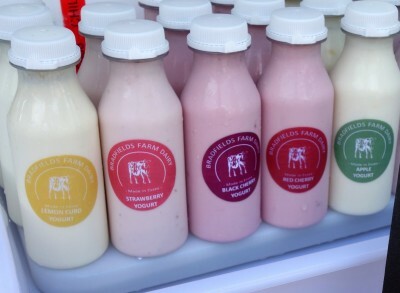 We also making new probiotic yogurt drinks from Lesley’s recipe and more of the milkshakes that were on sale on the open day. We are waiting to get our printed bottles and will find some space for them and have them on sale in the shop soon. On the pond Mr Duck has a couple of new lady friends. He’s quite a busy chap and he needed more company to keep him occupied. 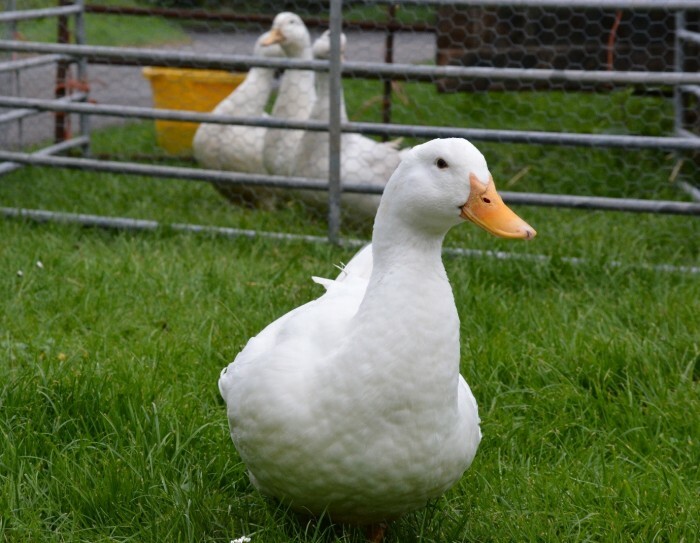 They can be spotted all round the farm, usually part covered in mud where they have been exploring. Mrs mallard has had a small batch of babies who are getting quite big now and we have already had two batches of moorhen babies too. They have no road sense and are making my Dad very cross by sitting in the middle of the brewers grains when he is trying to take it feed the cows. ← Can we go out soon?